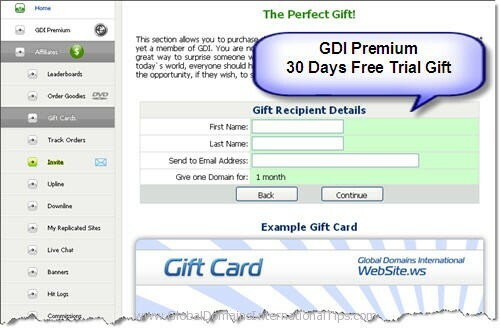 As a GDI Premium member, you are able to send 1-Month (30 days Free Trial) Gift Card every month. 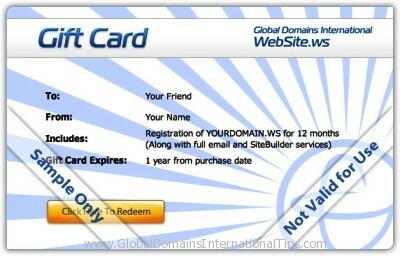 To send your gift card, simply go to the GDI Premium section of your account and click the “Send Gift Card” button. The “Send Gift Card” button is only visible in your account when you are eligible to send. For example, if you add GDI Premium, you can go back to the GDI Premium section and should see the gift card button. After sending your FREE 1-Month Gift Card, the button will not be visible until the next calendar month. These gift cards can not accrue or “rollover”, so make sure you send your’s every month. 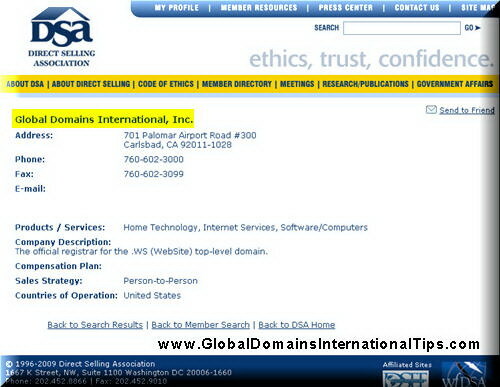 The Gift Cards must be redeemed within 30 days of the day you send it and is meant to help increase trial and sign up hence downlines for your Global Domains International Inc Business. Sign up today for a 7 days Free Trial to GDI and upgrade to GDI Premium Member to take advantage of the premium features and… Earn 14 times as much on level 1 Premium accounts in your down line and 4 times as much on levels 2 – 5. Do you want a Free 30 days Gift Card from me? As you can see, since I am a GDI Premium member, I can give away 3 gift cards (30 days Free Trial to GDI) for Free every month. 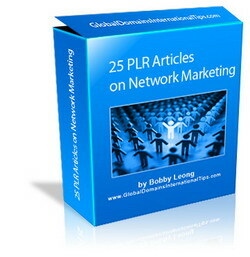 To get a Free Gift Card from me, please post in the comment why you want it? 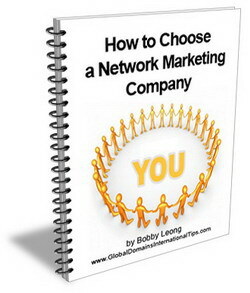 I will select three people monthly to receive a Free Gift Card. 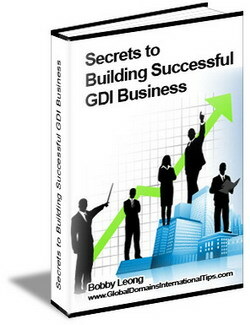 Remember to enter your correct email address in the form below for me to send you the 30 days free trial to GDI. I want your 30 Days Free Trial Gift Card, to strengthen my position in GDI, as i don’t have enough resources to pay the GDI monthly fees, unless I earn something quickly.